Over the years, a baby’s gummy smile will be replaced by two rows of teeth. It is important for a baby to get used to oral hygiene as early as possible, and this before and after teeth come out. Cavities and gum disease can appear in a baby or child’s mouth and cause pain, infection and malnutrition. Baby teeth are a temporary set of teeth that settle in a child’s mouth for many years before the adult teeth come in. 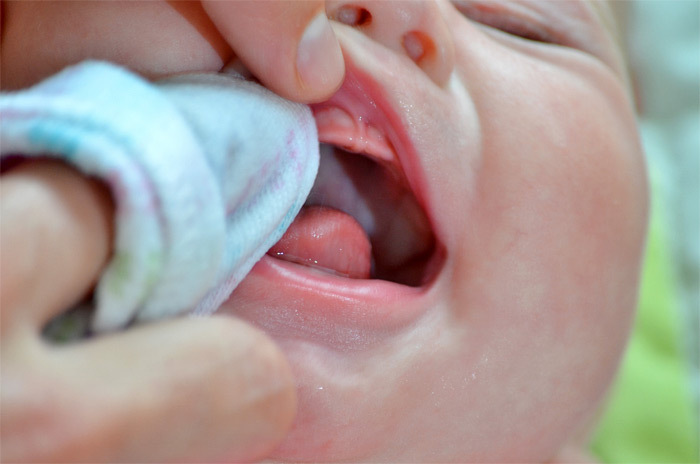 It is very necessary to take care of baby teeth because they have significant and important functions. It’s important to clean a baby’s gums even before teeth have erupted. This will clean away germs and avoid their sticking to the gums. If bacteria and food particles are left in the mouth for a long time, they could develop into plaque that can cause gum disease and damage baby teeth as they come in. clean the baby’s gums at least twice a day, following breakfast and the last meal of the day. 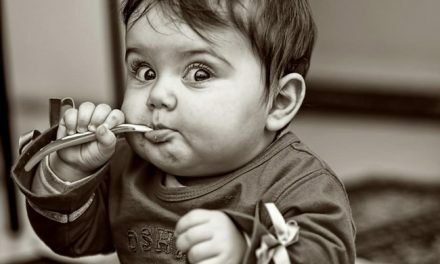 When a baby’s first tooth comes out, parents could gradually switch from a wet cloth to a toothbrush. This usually happens between 6 and 10 months. large handle to make it easier for parents to manoeuvre. At first don’t use toothpaste. Only wet the toothbrush before cleaning the baby’s teeth. Gradually use toothpaste but only the size of a grain of rice. Choose toothpaste for kids that does not contain fluoride because babies can swallow it. When the child is about 3 years old, you can increase to a pea sized, and use fluoride toothpaste. 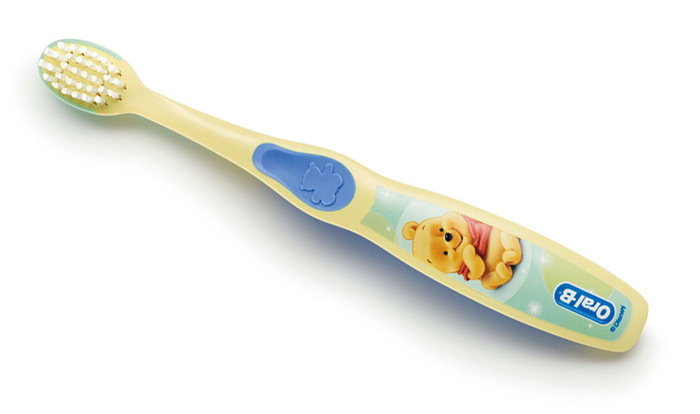 It is necessary to brush gently all around baby teeth, front and back. 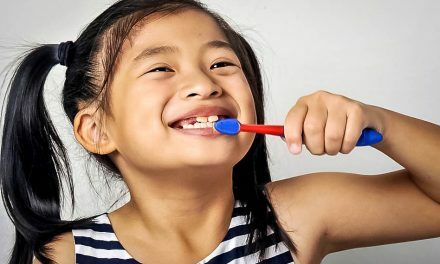 Parents should brush their children’s teeth until they are old enough to hold a toothbrush, and this occurs around the age of 6. It’s important to continue supervising the progress until a youngster can rinse and spit without help. 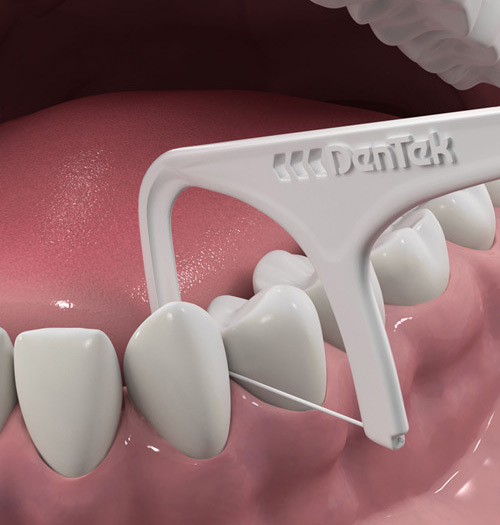 Flossing is a very important step in oral hygiene as it cleans dental plaque in between teeth that cannot be removed by brushing alone. For kids, flossing should start as soon as teeth are in contact with each other. This usually happens around the age of two and a half when baby molars in the back erupt. Front baby teeth often have spaces in between. It’s recommended that parents floss their children’s teeth at night after the last meal or snack. Primary teeth are necessary for eating. Strong and hard teeth are important for chewing and breaking down food so that a baby has a good digestion and nutrition. If those teeth have cavities, it becomes difficult and painful to eat. Baby teeth are useful for talking. Teeth are needed to pronounce certain letters and words, and they are a critical factor in the development of speech. Baby teeth save space and guide adult teeth in the eruption into the proper spot. Adult teeth start coming out at around 6 years old, and continue so until the age of around 12 years old. If a baby tooth falls out too soon because of decay, there might be missing space for adult teeth. Those can shift into the empty space and create crowding. 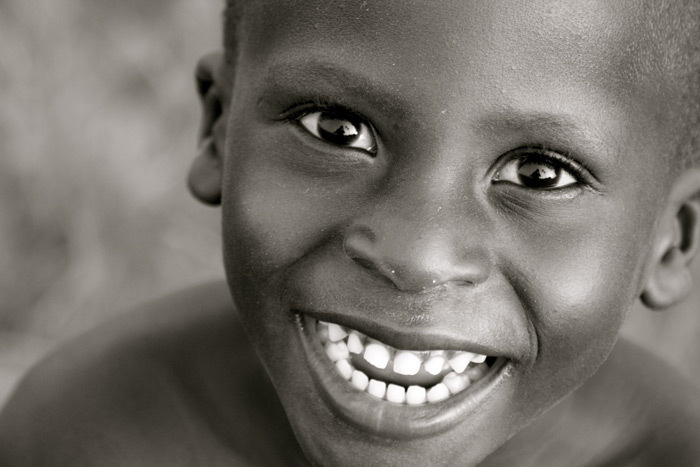 What is a child’s smile without teeth? If a child loses his or her teeth too early, it might affect his or her self-esteem. It’s recommended for your child to visit the dentist as early as the age of 1 year old. This might seem too young for a baby to open his or her mouth and do proper examination. But it could be an introduction of being in a dental clinic environment. It may also be an opportunity for the dentist or dental hygienist to discuss some concerns and matters like oral care, tooth eruption, fluoride use, or thumb sucking. Teething is tooth eruption of primary teeth. It usually starts between the ages of 6 and 10 months, and lasts for about 2 years. Teething is uncomfortable and it can make babies cry or become fussy. Other symptoms of teething are salivating, swollen gums, and the baby expressing slightly high temperature. Oral hygiene is very important to prevent cavities. But the nutrition factor is also essential. 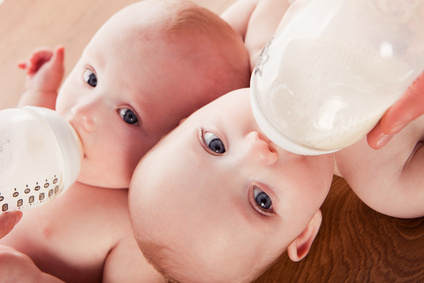 To avoid cavities, only put in the baby bottle some breast milk, baby formula or water. It’s important not to give any sweet liquids like juice or soda. 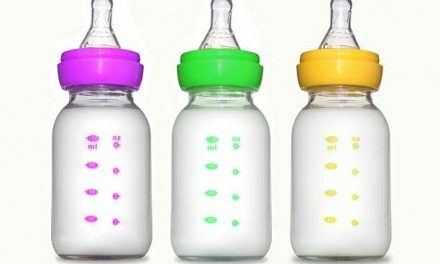 If the baby is going to sleep or to nap with the baby bottle in his or her mouth, it’s imperative to only fill it with water. 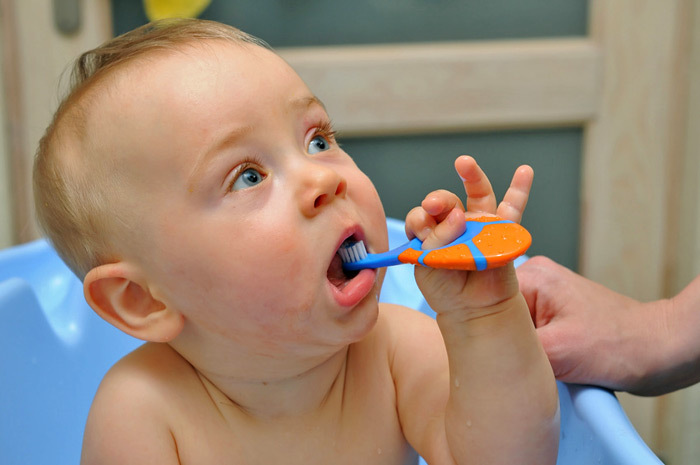 Caring for Your Baby’s Teeth (WebMD). How to care for your baby’s gums and emerging teeth (BabyCenter). Caring for your Teeth and Mouth – Children (Health Canada). Caring for your baby’s teeth (BabyCenter). Cleaning Teeth (Canadian Dental Association). When should my child start flossing? (BabyCenter). Caring for Your Child’s Teeth (North Bay Parry Sound District Health Unit). 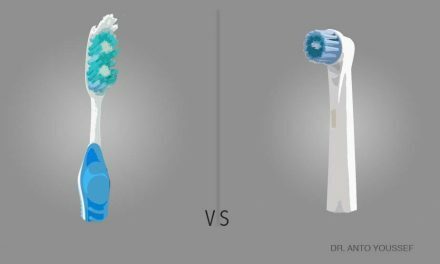 Dentists Argue over Right Way to Brush Teeth (Design and Trend). NextIs a root canal painful?